They say that nothing is free, even those that are offered for free has some hidden expense(s) attached to it. It's just a matter of time before you discover what those hidden expenses actually are, and that is what also happens to you when you opt for the service of a free virtual private network (VPN). According to a risk index carried out on the 150 most popular free VPN apps in the Google Play Store, the results revealed that 25% of the apps do not adequately protect user's privacy due to DNS leaks, and about 85% of the apps had questionable permissions or hidden functions that also threatened users privacy. The risk index was created by Top10VPN to "help consumers avoid inadvertently using flawed apps that compromise their privacy and security." The 150 apps were tested for effective encryption, viruses and malwares, browser leaks, dangerous app functions and behaviours, and as well a full network test to check other security flaws and performance related issues. Three of the biggest problems identified in the report that exposes users true identity are DNS leaks, WebRTC leaks and IP address leaks. DNS leaks occurs when the VPN service provider secures Internet traffic of the user by tunneling contents of Web pages and messages but then fails to force DNS requests via its encrypted tunnel. The DNS requests are then made through the ISP DNS servers which exposes the users browsing history and online activity to be tracked by their ISP and other third party DNS operators. Now this DNS leaks defeats the purpose of a VPN itself. About 38 apps were found in the report to have suffered from DNS leaks. 4 apps suffered from WebRTC or (Web Real-Time Communication) leaks, while 2 apps suffered from IP leaks which reveals the VPN user real IP address instead of the one assigned by the VPN service provider. However, the report named two VPNs (VPN super free and Super fast Hot VPN) to have terribly failed in protecting users privacy and thus, described as "essentially broken and not fit for purpose." Apart from the above, the report said that about 66% (99 of the apps) asked for unnecessary permissions that are classified as "dangerous" in official Android developer document. 25% (33 of the apps) asked to track users location , while 38% (57 of the apps) requested access to users personal information while another unspecified number of the VPN apps made intrusive permissions which included the use of camera, microphone, access contacts and even send text messages without the users knowledge. The report said that 63% (95 of the apps) were tagged as featuring functions with the potential doe privacy abuse, while 18% (27 of the apps) were flagged for potential viruses or malware when scanned. However, the risk index report points out that by simply asking for permissions does not mean that an app is malicious, though the behaviour won't help in gaining user's trust. For some VPN service providers these permissions are as a result of careless on the programmers part, while others its in other to help help target the advertising that keeps the apps free. "Unfortunately for consumers, there is no way to determine whether a risky permission is there in order to spy on them, to better advertise to them or just as a result of poor development practices," the report said. The risk index notes that none of today's top paid VPN services require such permissions or contain such functions. Some of the VPN service providers responded to the findings, explaining the reasons for the permissions, while some that had issues promised to address them. Below is the list of the 150 VPN apps in the Google Play Store that were tested. Note, these apps are the most popular VPN apps on the Android OS, and have raked in 260 million download on the Play Store alone. Hotspot shield freeVPN proxy & WiFi security, SuperVPN free VPN client, Hi VPN - super fast VPN proxy, secure hotspot VPN, hotspot shied basic - free VPN proxy & privacy, Pisphon pro -the Internet freedom VPN, Turbo VPN - unlimited free VPN & fats security VPN, VPN Master - free unblock proxy & security VPN snap VPN - unlimited free & super fast VPN proxy, Hola free VPN proxy, speed VPN free VPN proxy, VPN private, VPN free -Betternet Hotspot VPN & private browsing, Touch VPN-free unlimited VPN proxy& WiFi privacy. 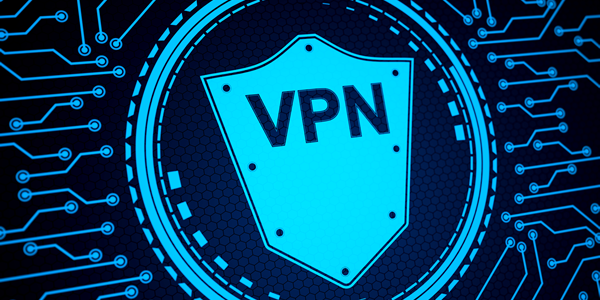 AnonyTun, SuperVPN -best free proxy, Easy Ovpn - plugin for openvpn, secureVPN - A high speed, Ultra secure VPN, Thunder VPN - A fast, unlimited , free vPN proxy, Yoga VPN - free unlimited & secure proxy & unblock, X-VPN-free unlimited VPN proxy, TunnelBear VPN, Flash VPN freee VPN proxy proxy, VPN robot - free unlimited VPn proxy WiFi security, unlimited free VPN monster - fast secure VPN proxy, TapVPN free VPN, Ultrasurf (beta) - unlimited free VPN proxy, free VPN unlimited proxy - master, Zero VPN, HotVPn - free?unblock? proxy, Hamer VPN, Troid free VPN proxy, VPN360 - unlimited free VPN proxy, free unlimited VPN proxy: VPNhub - safely hide IP, VPN super free proxy master unblock sites, browse VPN - free and Unlimited VPN, free & premium - finch VPN, speedify - bonding VPN, Solo VPN - OneTap Free Proxy, VPN Proxy by Hexatech -secure VPN & unlimited VPN, SKY VPN - best free VPN proxy for secure WiFi hotspot, LinkVPN free VPN proxy, VPN unblocker free unlimited best anonymous secure, free VPN - unseen online, Gecko VPN free fats unlimited proxy VPN, InvinciBull VPN - safe private, invincible, Atom VPN (100% free), Wuma VPN - Pro (Fast & unlimited & security), VPN lighter - free unlimited VPN, Hi VPN pro - free unlimited proxy & hotspot VPN, super VPN hotspot free secure VPN proxy master, VPN Dog - free & fast & unlimited & unblock, free VPN - unlimited free fast VPN for Android, unlimited free VPN proxy by Hello VPN, AirVPN - free VPN proxy best & fast shield, free VPN proxy & WiFi security - safer VPN, Reindeer VPN - proxy VPN, Free VPN and fast connect - OpenVPN for Android, Hotspot VPN - free unlimited & super VPN proxy, VPN express - school VPN & Unlimited & unblock, Bot changer VPN - free VPN proxy & WiFi security, leafy VPN - free VPN: Smarter And more efficient, Superfast hotVPN free VPN proxy master, VPN365 - free un limited VPN proxy & WiFi VPN, Free VPN by fireVPN, freedom VPN - free, secure, best service & speed, free VPN master - fast secure proxy VPN, free proxy master, super Turbo VPN unblocker, Easy VPN- free VPN proxy master, super VPN shield VPN easy - best free proxy, secure VPN - free VPN proxy, best & fast shield , free vpn proxy - ZPN, VPN unblock Bokep sites, VPN Over DNS Tunnel: slow DNS, Best VPN proxy OvpnSpider, VPN unlimited proxy AppVPN, WhatsVPN - unlimited free VPN, VPN proxy master - free unblock VPN & security, Amaze VPN (freeVPN proxy), Rocket VPN - Internet freedom, Windscribe VPN, Kaspersky VPN. Auch, I hope those VPNs step up to fix all those leaks, I use Surfshark and haven't noticed any leaks myself. Best thing is that they have been audited by cybersecurity experts Cure53, got their Chrome/Firefox extensions tested for security and privacy protection and the outcome was positive. For starters always check ipleak.net to see if your VPN is not leaking. I am glad I use Ivacy VPN. It is never accused of any security flaws that makes me doubt the credibility of the VPN Client. I would recommend everyone to Use Ivacy the Fastest VPN of 2019.